WILLEMSTAD – The former Prime Minister of Curaçao Gerrit Schotte has a new team of lawyers to assist him in the appeal of the Babel case. The well-known criminal lawyer Marije Vaders from Curaçao and lawers Geert-Jan Knoops together with his wife Cary Knoops will take the defense of the former Prime Minister. 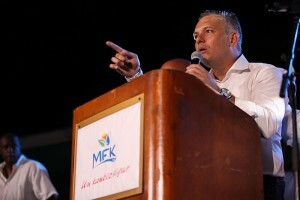 Schotte was convicted by the court of first instance to three years in prison for bribery, forgery and money laundering. His appeal case will be presented before the court on August 11 of this year.